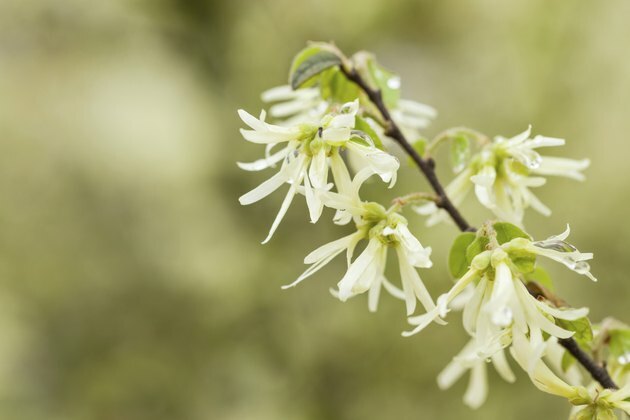 One of witch hazel's most impressive properties is its anti-inflammatory effects on conditions such as diaper rash, razor burn and bug bites. Inflammation is caused by free radicals in skin cells, and scientists at Japan's Shiga Central Laboratory studied 65 plant extracts for their potential anti-inflammatory applications as an anti-aging treatment for skin. Only two of the extracts exhibited active oxygen-scavenging effects and protective activity against cell damage, with one being Hamamelis virginiana. Witch hazel is considered to be a potent astringent due to the high level of tannins in the leaves, according to Drugs.com. The tannins help to tighten skin proteins which then form a protecting covering to help promote skin healing and stop bleeding. This property makes it particularly useful for treating skin conditions like eczema, as well as restoring vessel tone in varicose veins and also soothing hemorrhoids. Women frequently use witch hazel to lock moisture into skin. A study at the University Hospital Luebeck Dermatology Department in Germany treated children suffering from skin disorders and injuries with a Hamamelis ointment and found that it was safe and as effective as dexpanthenol. Dexpanthenola is a prescription drug used as a moisturizer to improve hydration of the stratum corneum, or outer skin layer, to reduce water loss from skin and to maintain skin softness and elasticity. Another traditional use for witch hazel is to treat sunburn and prevent peeling and flaking. Two separate studies at the BioSkin Institute for Dermatological Research and Development in Germany looked at witch hazel's sun-protectant properties. The first, in 1998, treated healthy patients with a 10 percent hamamelis lotion after exposure to UVB doses, and the second, in 2002, treated healthy volunteers with the lotion after exposure to UVA radiation. In both instances, the lotion produced a significant suppression of skin redness or burning on the skin after the radiation exposure. What Are the Health Benefits of Anamu?